17-Year Cicadas About to Emerge in Eastern U.S.
Eerie sounds like those out of a science fiction film are about to ring ears across the eastern United States. Every 17 years at this time, like clockwork, Brood II cicadas crawl out of the ground from North Carolina to New England. The bugs live underground for nearly two decades, feeding off fluids that gather near the roots of plants. They will eventually emerge by the billions when the temperature reaches 64 degrees Fahrenheit. 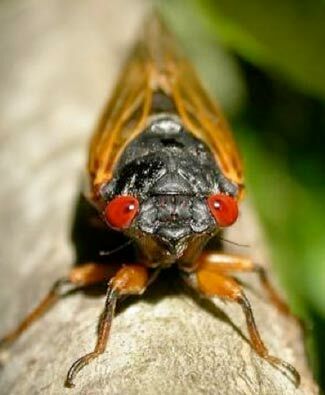 The Brood II, red-eyed cicada is smaller than the larger common cicada, which has green eyes and comes out every year. They last emerged in 1996 and will fill the air with high-pitched buzzes that can be so loud they disrupt outdoor events. But their periodic emergence and return to the ground help aerate the soil, and they return nutrients to the earth when they die. They also provide food for birds and other animals. The 1.5-inch-long insects do not sting or bite. They spend their brief two-week lives above ground climbing trees, shedding their crunchy skins and reproducing. White-nose syndrome, a fungal disease possibly imported from Europe on the boots of spelunkers (cave explorers), hits bats at their winter hibernation roosts. It was first identified in North America in New York in 2006/2007 and has since spread to 22 states and five Canadian provinces. White Nose Syndrome has decimated bat populations with mortality rates reaching 100 percent at some sites. In the northeastern United States, bat numbers have plummeted by at least 80 percent, says the USGS, with ~6.7 million bats killed continent wide. The Centre for Biological Diversity reports that biologists consider this the worst wildlife disease outbreak ever in North America. Bats are supremely important for farming and for food security. They eat thousands of tons of insects, including crop pests, every year. Researchers estimate the economic value of bug-eating bats to American agriculture at $22 billion, maybe as much as $53 billion a year. 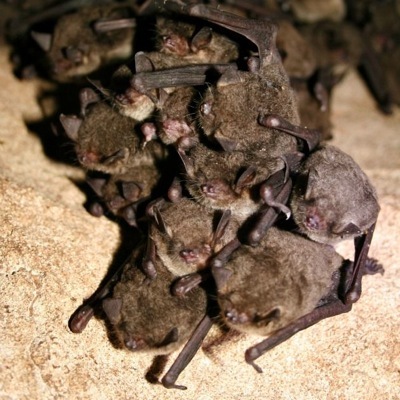 Yet federal funding for White Nose Syndrome research and disease response coordination has been scarce the past several years and is likely to become even scarcer in the 2013 and 2014 federal budgets. 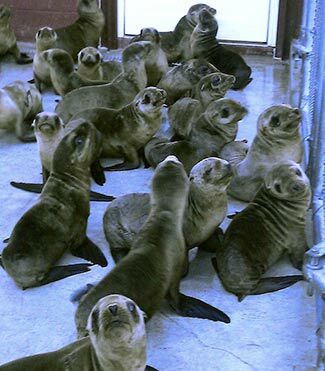 Unprecedented numbers of starving sea lion pups are swimming to shore in California, straining local animal care centres and puzzling marine biologists who have yet to determine what is ailing the sea mammals. According to marine biologists at the National Oceanic and Atmospheric Administration (NOAA), more fledgling sea lions have beached themselves along the central and southern California coast in 2013 so far than in the previous five years combined. The agency says 948 sea lion pups, many of them less than a year old, have come ashore this year between San Diego in the south and Santa Barbara in the north as of March 24. That compares to only 88 strandings in all of 2012. The pups are being found along the beaches malnourished, severely dehydrated and without their mothers. They are being taken to local marine mammal rescue facilities, like SeaWorld in San Diego. Some are being sent as far as Northern California as regional facilities become overwhelmed. But many of the emaciated pups do not survive. 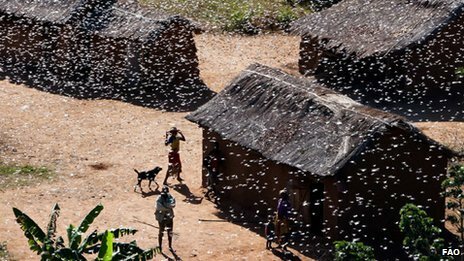 A severe plague of locusts has infested about half of Madagascar, threatening crops and raising concerns about food shortages. Billions of the plant-devouring insects could cause hunger for 60% of the population. Currently, about half the country is infested by hoppers and flying swarms – each swarm made up of billions of plant-devouring insects. About two-thirds of the island country will be affected by the locust plague by September 2013 if no action is taken. A new wave of manatee deaths has struck Florida following a string of fatalities among the marine mammals due to red tide algae blooms along the state’s southwestern beaches. But marine biologists say they don’t know exactly what’s killing the manatees along the eastern coast since there have not been any reports of red tide there, and the weather hasn’t been cold enough to account for the deaths. 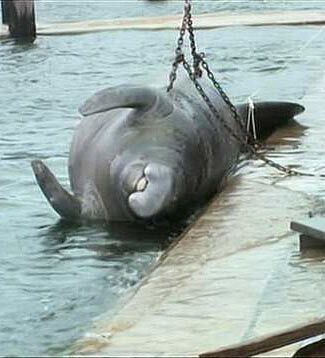 Nearly 200 manatees have died due to red tide along Florida’s Gulf Coast so far this year. While lacking physical evidence to prove it, wildlife experts believe the deaths in eastern Florida are due to different types of algae blooms that have killed off vast amounts of sea grass the manatees typically feed on. That may have caused the lumbering sea animals to instead ingest large amounts of macroalgae, which sent them into fatal toxic shock. The east coast algae blooms were due to storm runoff that flushed fertilizers and other manmade nutrients into waterways. State biologists are also trying to determine what has killed about 100 brown pelicans so far this year in the same area where the Atlantic coast manatees perished. The birds were found emaciated and full of parasites. There is so far no connection between the pelican deaths and those of the manatees. 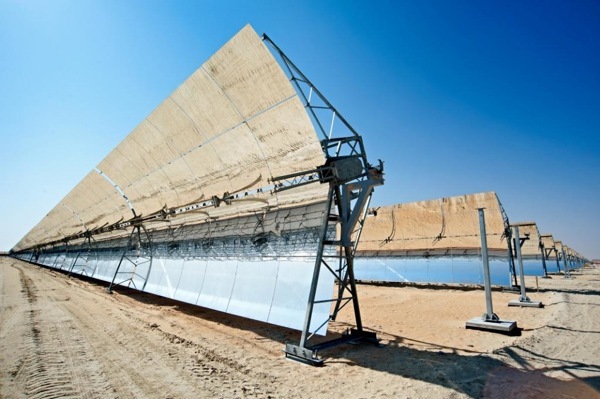 The Shams 1 solar plant outside Abu Dhabi in the United Arab Emirates is the world’s largest solar power facility. It started producing electricity this month and will produce 100 megawatts of electricity at full capacity. That’s enough energy to electrify 20,000 homes and could reduce carbon dioxide emissions by 175,000 tons each year — roughly the equivalent of taking 35,000 cars off the road, according to EPA emission estimates. The US and New Zealand are to push for a marine protected area (or MPA) in Antarctica’s Ross Sea. If created, it would be the largest MPA in the world. The Ross Sea is teaming with life, as the home to more than 1 million pairs of Adélie penguins; 28,850 pairs of emperor penguins; 30,000 to 50,000 Weddell seals; 5.5 million Antarctic petrels and 21,000 minke whales. 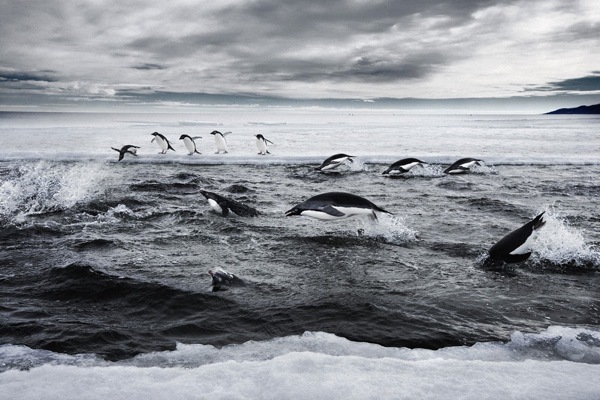 And like many parts of the Antarctic ocean environment, the Ross Sea has been left relatively unscathed by human activities, with fewer pollutants and invasive species and less large-scale fishing than in other parts of the Earth’s oceans. But global warming and increasing interest in the rich fisheries found in the Southern Ocean are putting pressure on this environment, those calling for the MPA have warned. 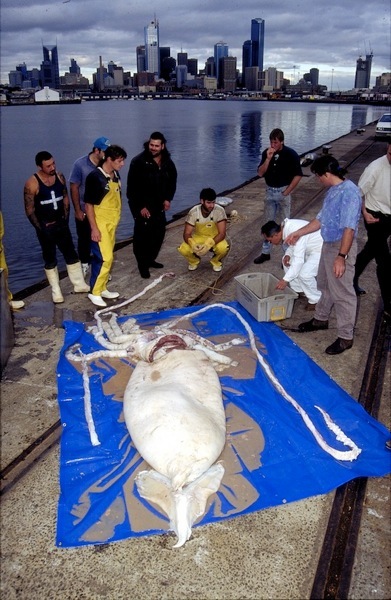 Giant squid are almost never observed in the wild, but beached specimens have taught scientists about their anatomy. 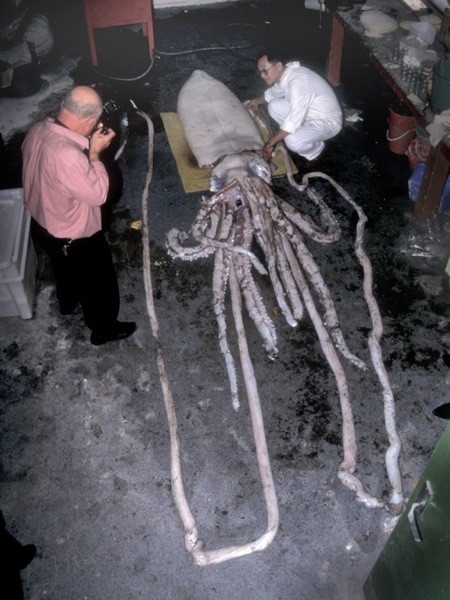 Scientists estimate that giant squid can grow up to about 60 feet (18 meters) long, including their massive tentacles. The whales don’t usually appear off the Victorian coast until April or May, when they migrate from chilly Antarctic waters to breed in the balmy seas off Queensland. But two early sightings – one of a young calf off the Gippsland coast last month and another of three whales near Marengo this week – have scientists scratching their heads. 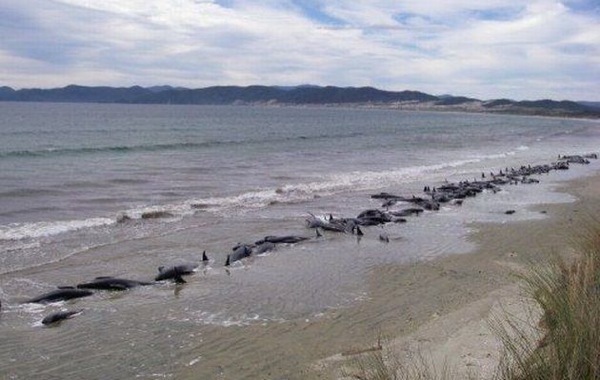 “We don’t know why these whales are appearing early,” said Mandy Watson, a Department of Sustainability and Environment senior biodiversity officer. Monarch butterflies — one of the sure signs of spring and summer — may not be as plentiful this year across the USA, in part because of the ongoing drought and recent wildfires in Texas that ravaged their food sources. 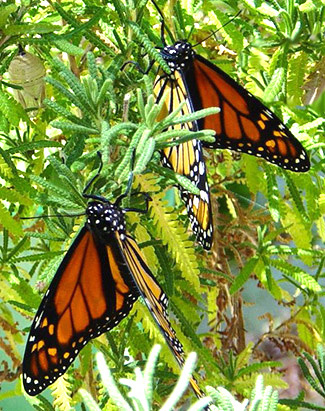 Similar conditions have affected Monarch butterflies in New Zealand. See Post. 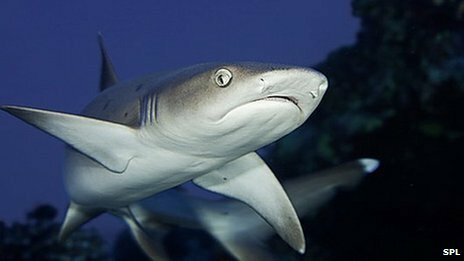 The body, which regulates trade in flora and fauna, voted by a two-thirds majority to upgrade the sharks’ status. The oceanic white-tip, three varieties of hammerheads and the porbeagle are all said to be seriously threatened by overfishing. Experts say the critical factor has been a shift in South American nations, who’ve come to understand that sharks are more valuable alive than dead. Current efforts to control Britain’s increasing deer numbers are not enough to stop populations spreading out of control, according to research by the University of East Anglia. There are now more deer in Britain than at any time since the Ice Age. Without natural predators, populations are continuing to rise, causing a serious threat to biodiversity. High numbers of deer can threaten woodland birds, carry infections such as Lyme disease, damage crops and cause road traffic accidents. In what is likely to be remembered as one of the strangest pest control policies ever pursued, Guam has decided to combat the island’s ongoing snake infestation by parachuting painkiller-laced dead baby mice into the jungle canopy. For over 60 years, officials have been waging war against the brown tree snake, an invasive species that has killed off much of Guam’s native bird population, and which some experts fear may spread to Hawaii. 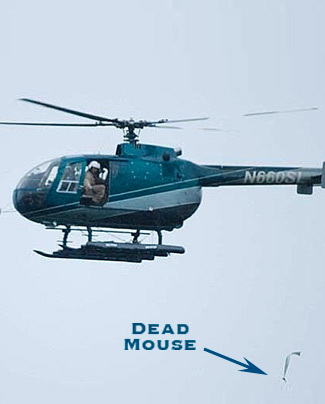 If all goes according to plan, infant mice corpses, wearing small parachutes and laced with the pain reliever acetaminophen, will be flung from helicopters flying over the jungle. Acetaminophen is deadly to snakes. New Zealanders are wondering where the country’s iconic monarch butterflies have gone this southern summer. They failed to return in some areas after a cold and tough winter dampened their breeding grounds on the South Island. While related to their North American cousins, New Zealand monarchs don’t migrate vast distances. They instead adapt to local conditions, often wintering along the coast where temperatures seldom fall below 50 degrees. Experts say climate change may be what has affected the monarchs recently. “Monarchs are an indicator species, telling us a lot about how other insects are going, and this is something to watch closely as we need our insects,” said an expert. Experts say the colorful insects are likely to rebound in the years to come as colonies recover from last winter’s adverse conditions.